J.R.R. 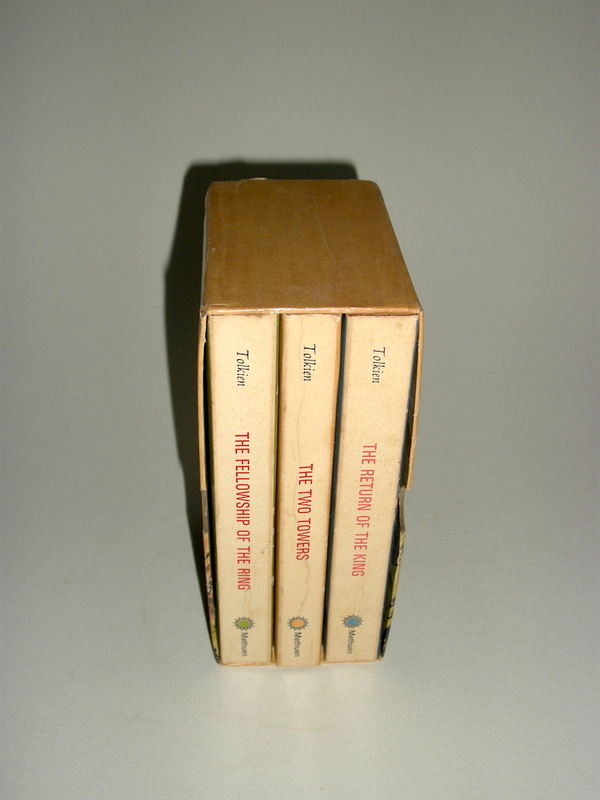 Tolkien, The Lord of the Rings authorized Canadian Edition by Methuen Publications. Released in 1979 by Methuen Publications. The Lord of the Rings by J.R.R. Tolkien, includes The Fellowship of the Ring, The Two Towers and The Return of the King. 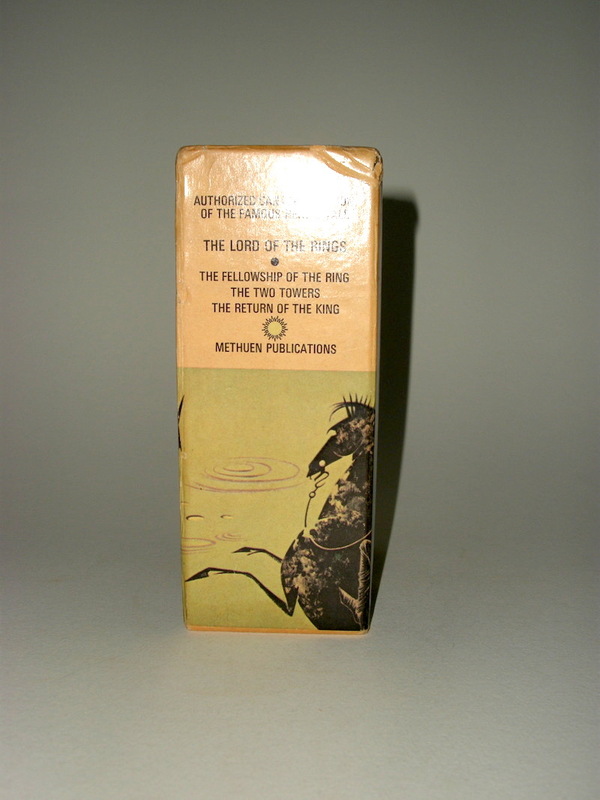 The Fellowship of the Ring is the 5th printing 1974, Methuen paperback. 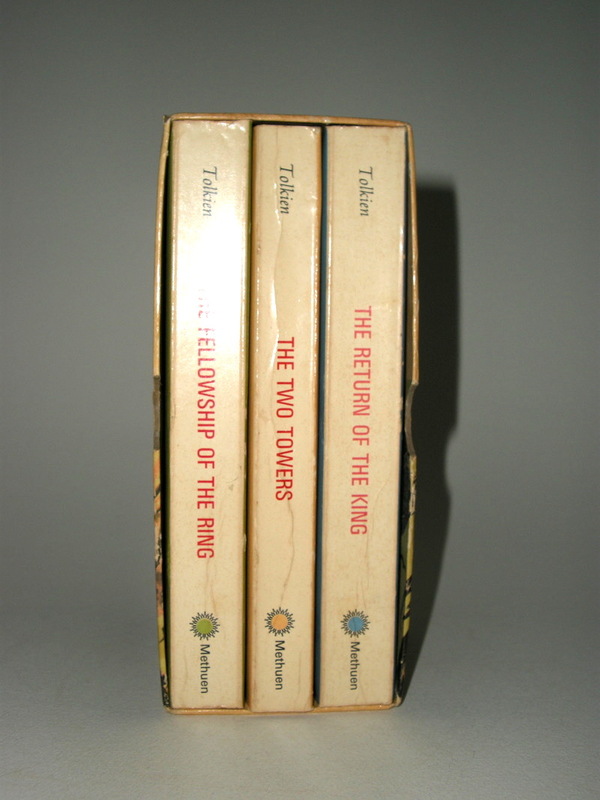 The Two Towers is the 4th printing 1973, Methuen paperback. 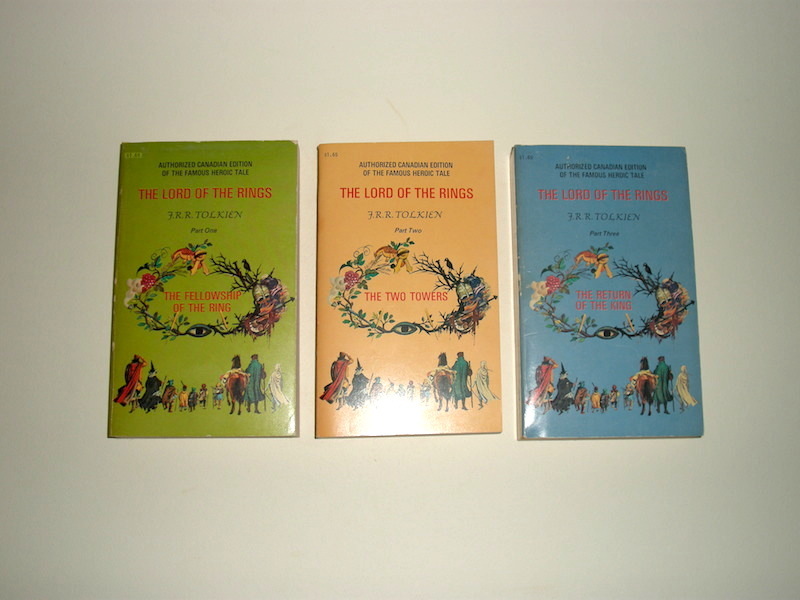 The Return of the King is the 5th printing 1974, Methuen paperback. ISBN's 0 458 90750 2, 0 458 90760 X and 0 458 90770 7. Paperbacks. Issued in a slipcase.. Covers and slipcase with art by unknowns artist. 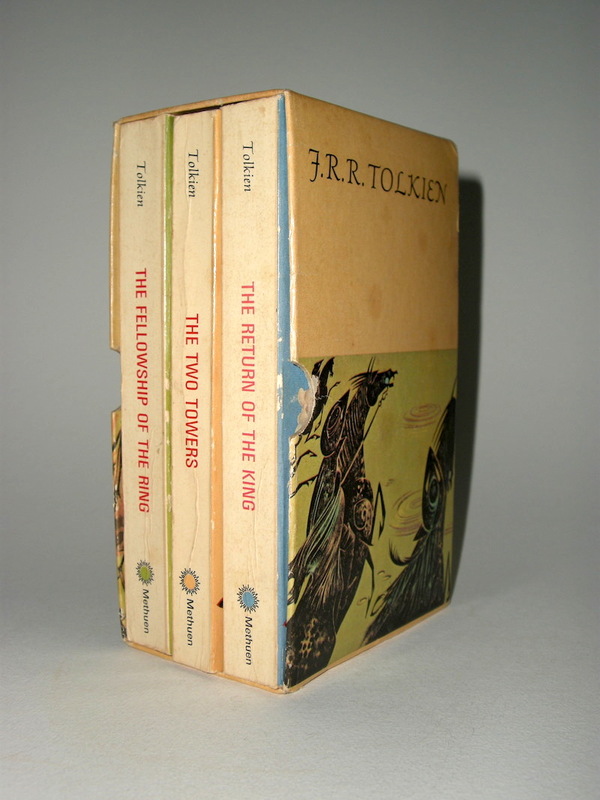 The slipcase reads Authorized Canadian Edition of The Lord of the Rings. The Fellowship of the Ring. The Two Towers. The Return of the King. 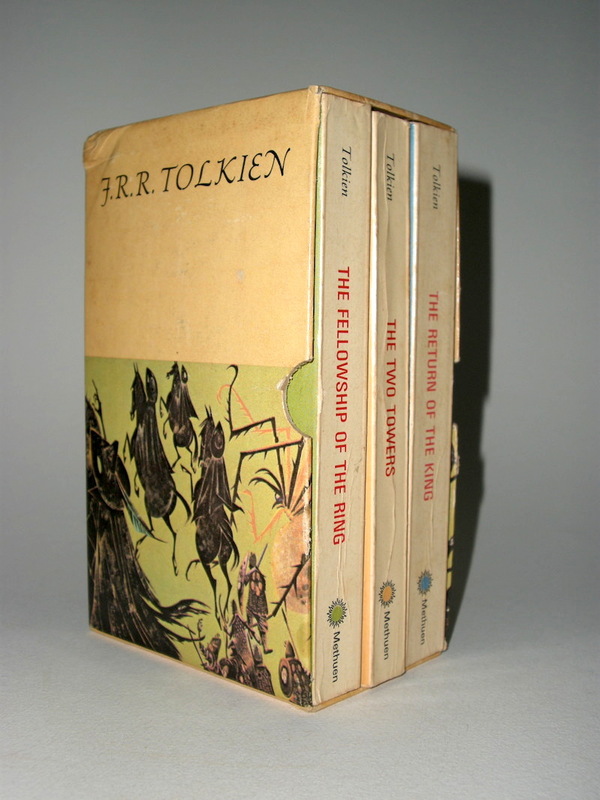 The back covers read "I welcome the publication in Canada of this edition of The Lord of the Rings" and reproduced a printed signature. These paperbacks are in unread condition, with some minor rubbing to corners and spine. The slipcase is showing a good bump to the back right top corner and a tear to the right front bottom. An unusual and very hard to find set, in the original publishers box.